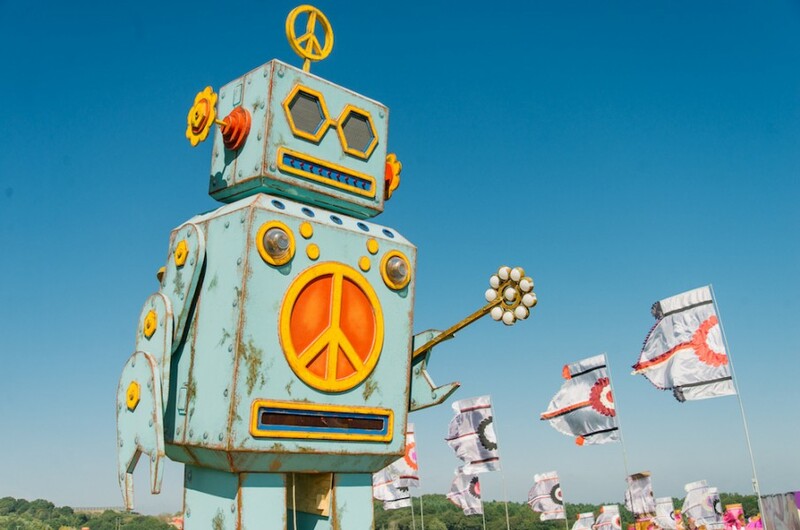 The Love-Bot is a truly astounding interactive art installation that helps to get the good vibes flowing across Lulworth Castle. A colossal cyber-softy, the Love-Bot is a sleeping beauty that needs your love for his energy. Without it he rests in limbo, full of woe, as his joints gradually rust together and his internal batteries slowly run down... all he needs to come alive is someone to show him some love! Standing eight metres tall and weighing in at a cuddly four tonnes, our bionic beauty uses love-detectors to sense affection and converts your positive emotions into an amorous display that will spread love and joy to one and all. Literally unmissable, help keep our Love-Bot alive with your loving feelings!